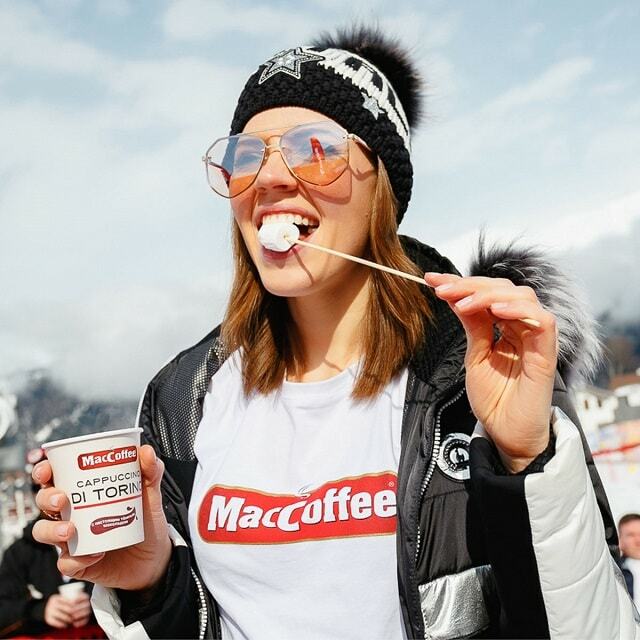 From 14 to 17 March, the high-altitude Boogle Woogle festival was held at the legendary ski resort, Rosa Khutor, in Sochi with MacCoffee as an avid supporter once again! Despite the weather conditions, almost 900 skiers and snowboarders took part in a swimsuit lift and thousands participated in the various activities that took place at the festival, including the Miss Boogel Woogel beauty pageant. 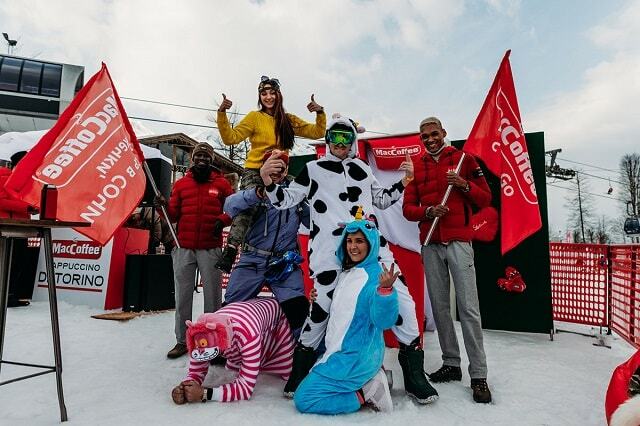 MacCoffee had its own enclosed zone with red puffs, VR glasses, wonderful music, cool prizes, grilled marshmallows, and of course, lots of hot and delicious MacCoffee Cappuccino di Torino that kept skiers and snowboarders warm on the snowy slopes. This year, we decided to go one step higher! Our hot cappuccino was provided to all the swimsuits lift participants just before the kick off! It was an amazing 4-day festival with loads of fun and action with MacCoffee!